Visiting Assistant Professor of Biology Tiffany Doan presented at the 42nd annual Herpetology Conference at the University of Florida along with New College students Stevan Bressan and Eliot Evans. The Florida Museum of Natural History hosts the conference, which first convened in 1976 and is the longest running symposium of its kind in the country. Bressen and Evans presented a poster entitled “Prey Availability and its Relation to Proctoporus Lizard Rock Microhabitat Usage.” Bressen and Evans won the student poster award, which includes a cash prize. 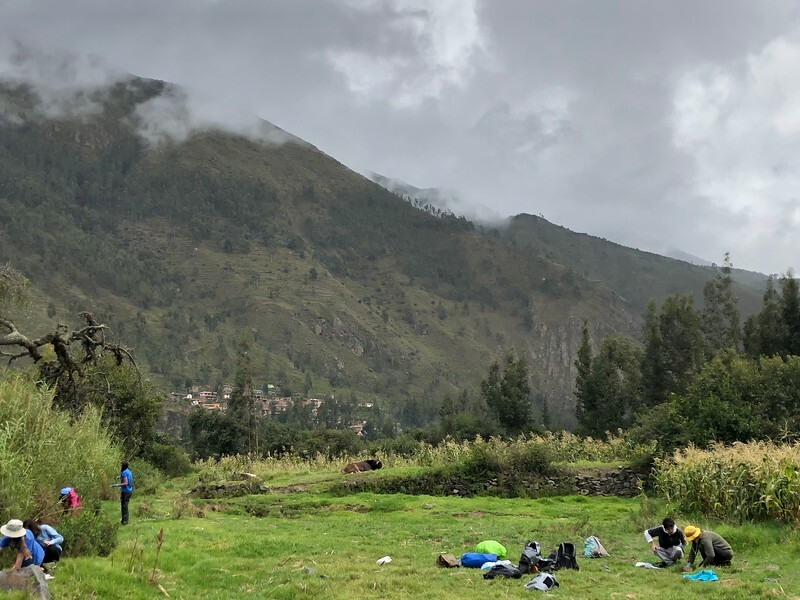 Dr. Tiffany Doan led a group of New College students to Peru to analyze lizards in January 2019. Doan, Bressan and Evans presented the results of research they conducted in Peru during the January Interterm as part of an independent study project. Doan and a cohort of students from different areas of concentration traveled to Peru and examined the living conditions of small lizards that live under flat rocks in high elevations. The group tested whether the lizards can withstand increasing temperatures and examined the living conditions that allow them to thrive in that specific area. Doan hypothesized that the lizards would eventually die when exposed to increased temperatures. However, she was pleasantly surprised to confirm that, though they become agitated, the lizards can withstand high temperatures. While the other half of the research sought to explain why these lizards are known for inhabiting under a certain area of the same rocks for majority of their lives. It was hypothesized that there was an abundance and richness to the type of prey found under these specific rocks that attracted the lizards. New College offered financial support to Doan and her students, many of whom were first-year college students. The conference presentations were not the end of the road for Doan and her students. The World Congress of Herpetology has invited Doan to present her finding in New Zealand next year, and several students continued the research during tutorials this semester and are working to publish their findings in academic journals.